Monday 4th March 2019, 08.00-16.30 hrs. 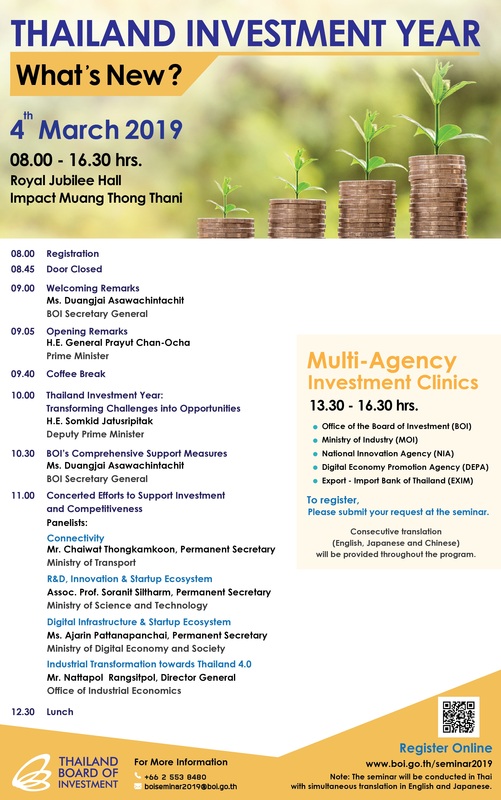 Note: The seminar will be conducted in Thai with English and Japanese simultaneous translation. The online registration is now closed. However, walk-in registration at the seminar is accepted before 8.15 AM. Sorry for an inconvenience.